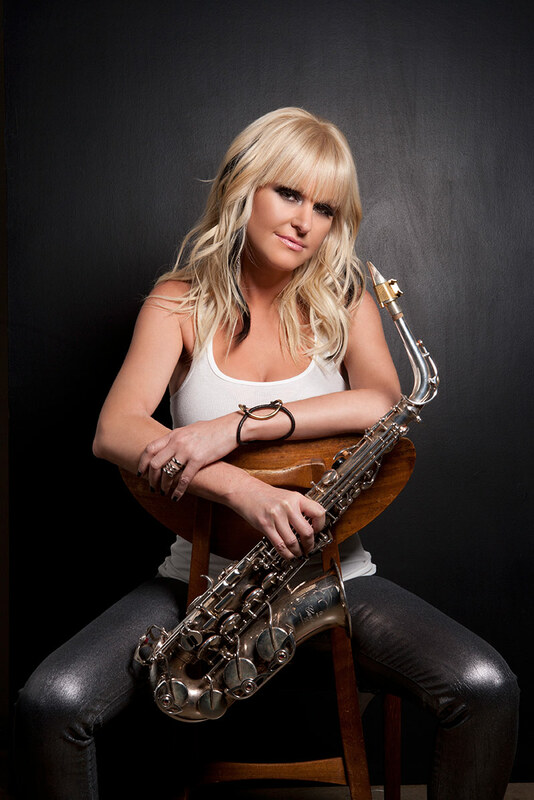 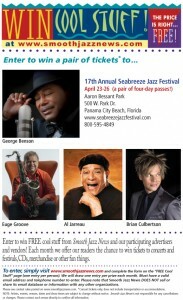 Seabreeze Jazz Festival ticket giveaway! 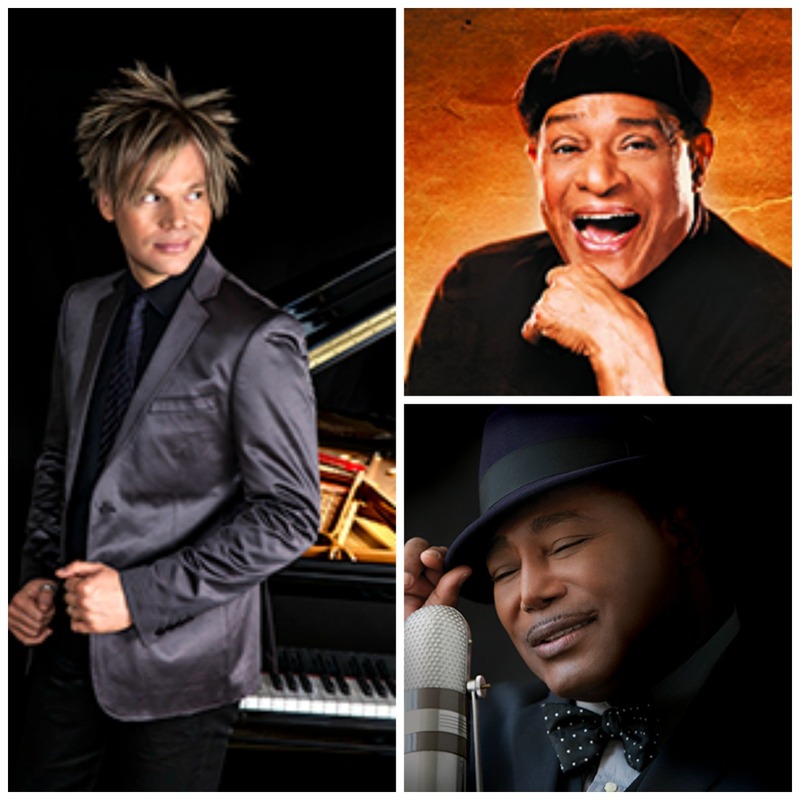 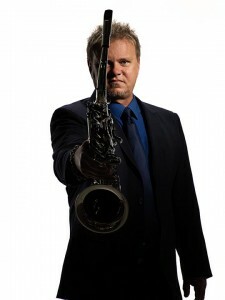 Wednesday, April 22 Jazzy Dinner Cruise on St. Andrews Bay aboard the Solaris entertainment yacht featuring Brian Culbertson (sold out), boards at 6:30 p.m., sails at 7 p.m.
On festival grounds (gates open at 3 p.m.) Down to the Bone, 5 p.m.; Ken Ford, 6:30 p.m.; George Benson, 8:30 p.m.
Saturday, April 25, on festival grounds (gates open at 8:30 a.m.) Rob Tardik, 9:30 a.m.; Eric Darius, 11 a.m.; Acoustic Alchemy, 12:30 p.m.; The Sax Pack featuring Jeff Kashiwa, Steve Cole and Kim Waters, 2 p.m.; Brian Culbertson, 4:30 p.m.; Al Jarreau, 6:30 p.m.; BWB featuring Norman Brown, Kirk Whalum and Rick Braun, 8:30 p.m.
Sunday, April 26, on festival grounds (gates open at 8:30 a.m.) Ryan Montano, 9:30 a.m.; The Seabreeze Groove Project featuring Four80East, Matt Marshak and Marcus Anderson, 11 a.m.; Chris Standring, 12:30 p.m.; Mindi Abair & The Boneshakers, 2:30 p.m.; Jazz Funk Soul with Chuck Loeb, Jeff Lorber and Everette Harp, 4:30 p.m.; Josh Vietti, 6:30 p.m.; David Sanborn, 8:30 p.m.
Getting there: Flights are available to the Northwest Florida Beaches International Airport (ECP) in Panama City Beach, and Northwest Florida Regional Airport (VPS) in Fort Walton Beach, Florida. 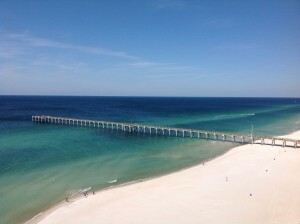 The venue is approximately 10 miles from ECP and 55 miles from VPS. 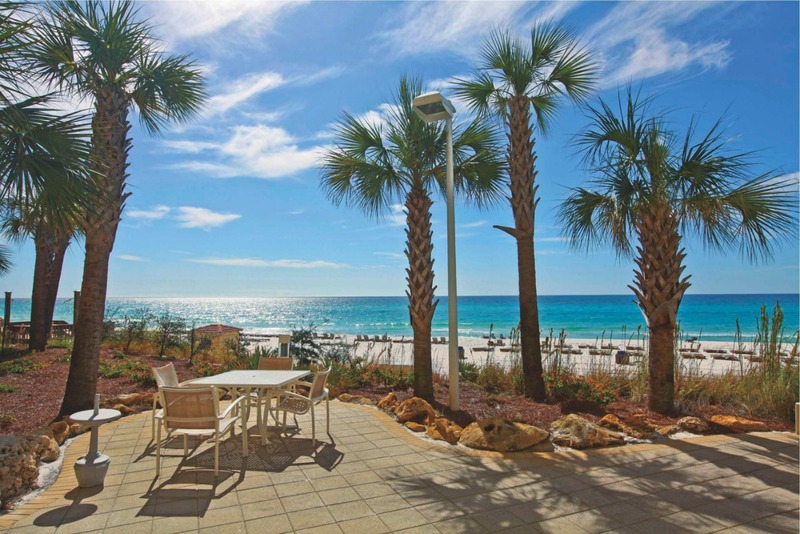 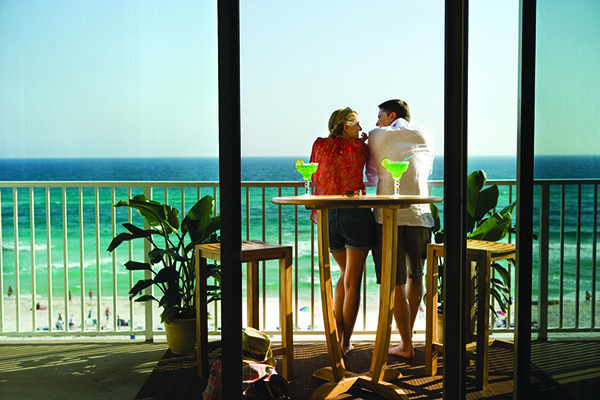 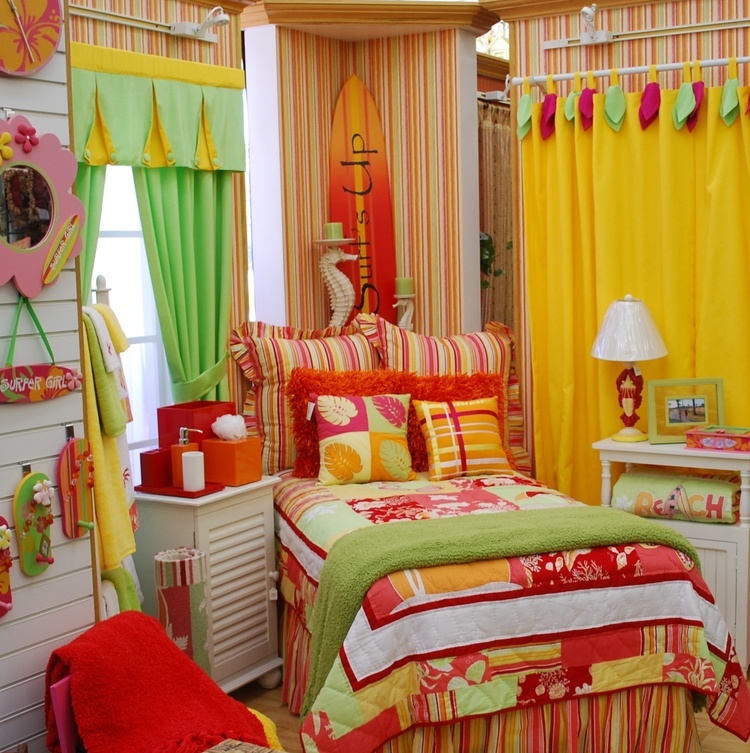 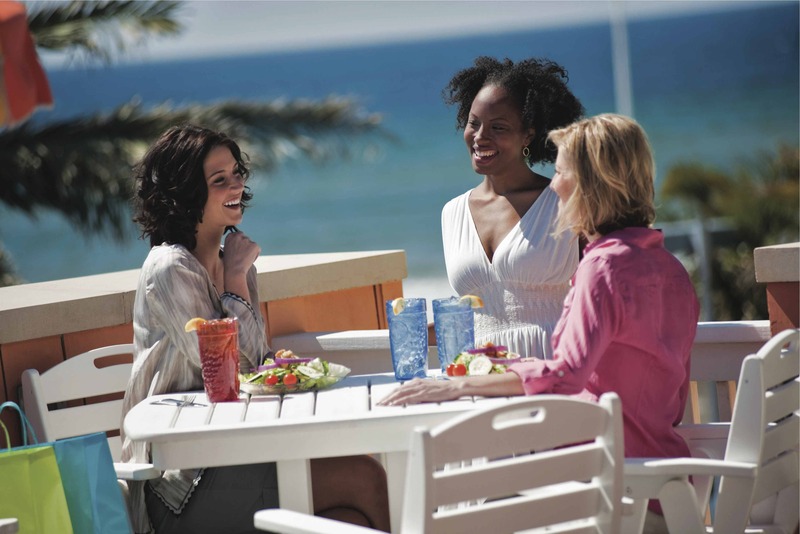 Staying there: Accommodations at reduced rates are available through ResortQuest by Wyndham Vacation Rentals. 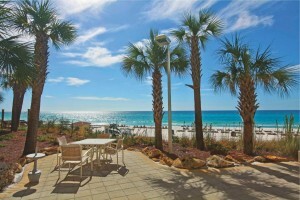 For reservations, visit www.seabreezejazzfestival.com/accommodations.html or call 855-990-0087 and mention group code “JAZ5” for the discounted rate. 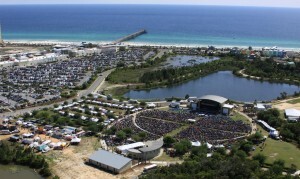 Free round-trip shuttles are available to the festival for occupants of ResortQuest properties. 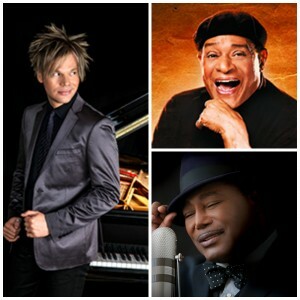 Tickets and information: Visit www.seabreezejazzfestival.com (which also features information on other accommodations partners) or call 800-595-4849. 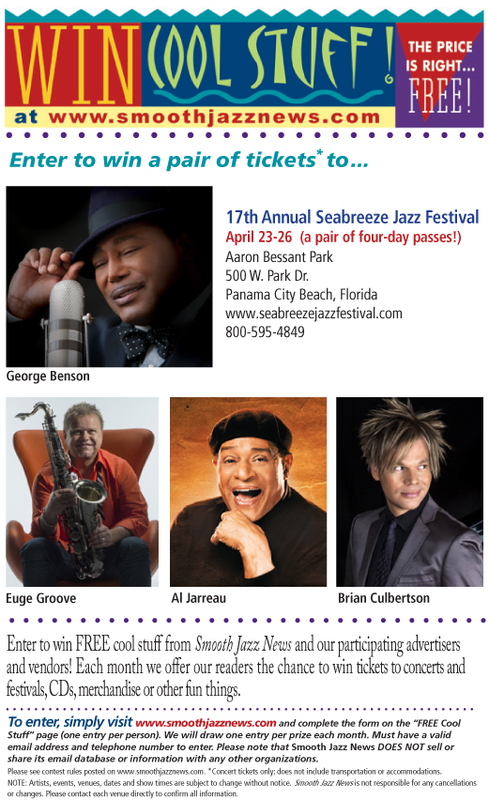 For more information on the Seabreeze Jazz Festival, check out pages 11-13 of the April 2015 issue of Smooth Jazz News. 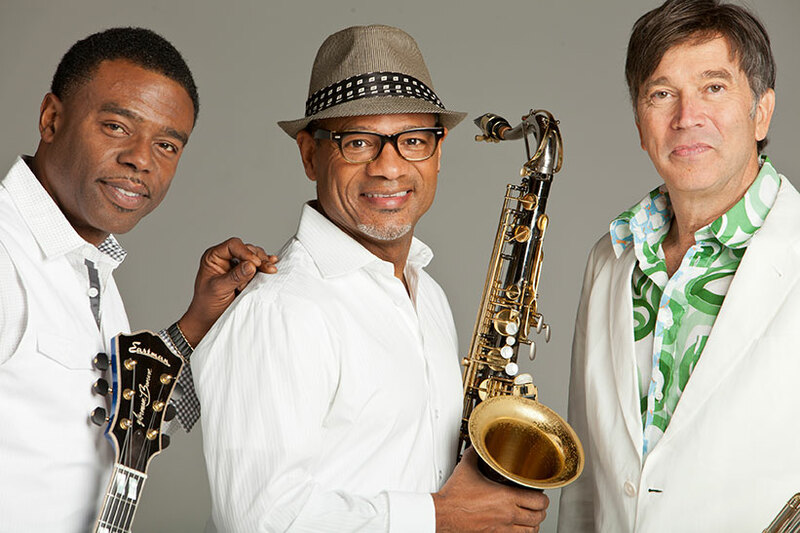 *NOTE: In their commitment to contribute to the community, the Carters are offering a four-day pass ($250 value) to the Seabreeze Jazz Festival in exchange for each good, used, band instrument donated to L.I.N.K.S. 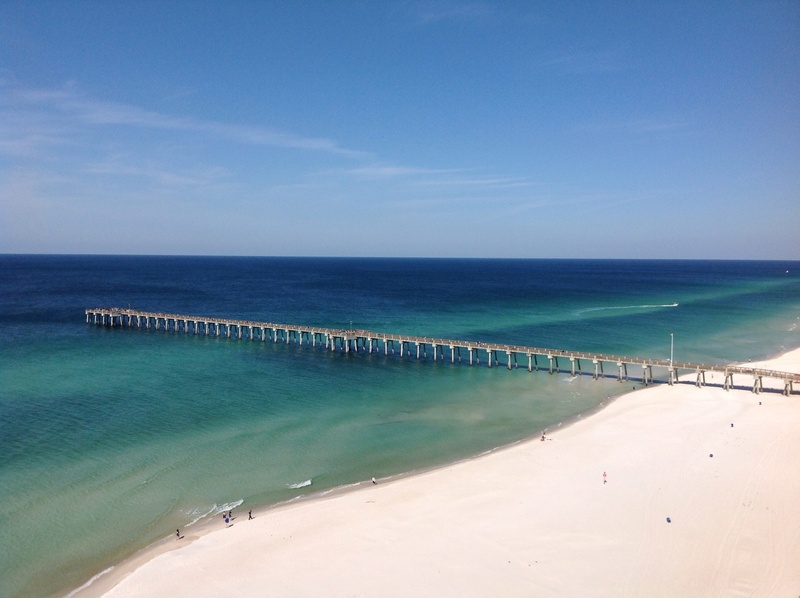 of Northwest Florida (Lonely Instruments For Needy Kids). This non-profit program takes used band instruments, repairs them and puts them in the hands of disadvantaged kids who wouldn’t normally be able to participate in their local middle or high school band programs. Playground Music Center in Fort Walton Beach, Florida, is collecting the donated instruments. 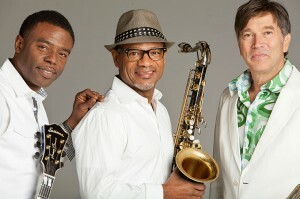 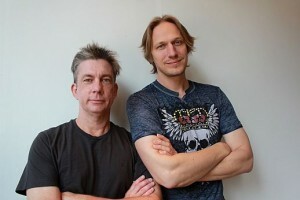 For more information, call Tony Leonard at 850-243-2514, or visit www.seabreezejazzfestival.com/links.html. 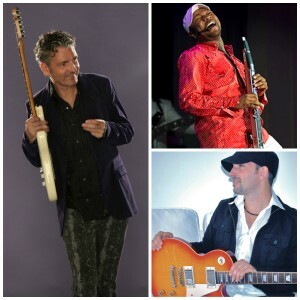 This entry was posted in Concerts and Festivals, Smooth Jazz Travel and tagged Acoustic Alchemy, Al Jarreau, Brian Culbertson, David Sanborn, Euge Groove, Jeff Lorber, Marcus Anderson, Mindi Abair, Panama City Beach Florida, Rick Braun, Seabreeze Jazz Festival, The Rippingtons, The Sax Pack on April 9, 2015 by Melanie.